Enamel goldtone butterfly pin / brooch, green and blue. 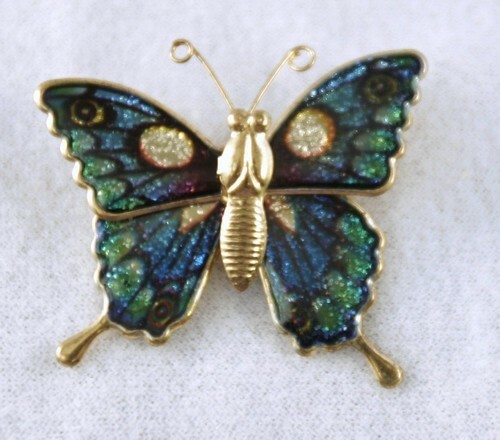 Pin is stamped metal with enameled wings. Metal antennae. Clasp is simple spring type. It is about 1 5/8 inches by 1 1/2 inches.